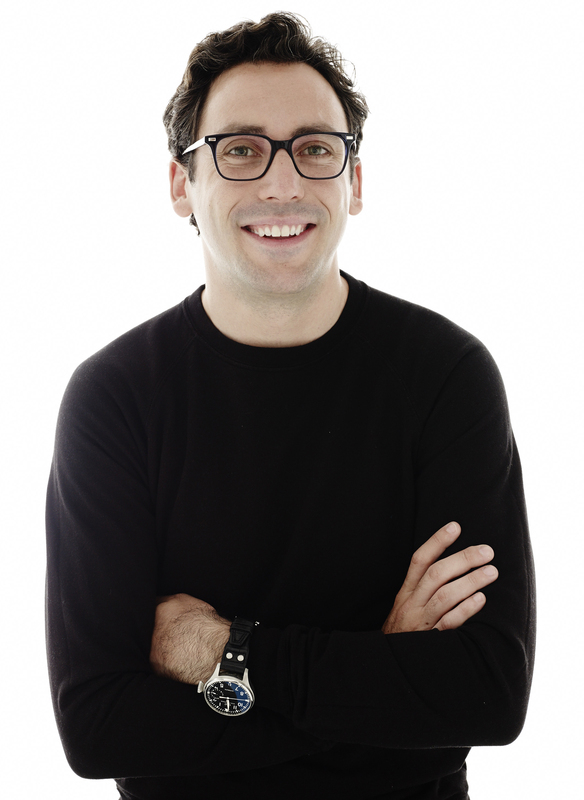 Warby Parker's Neil Blumenthal on the value chain, enabling innovation, and empathy as a central business tenet. From selling out of an apartment to a $1.2 billion valuation, Warby Parker has come a long, long way in not much time at all. If you’ve shopped with them, you know why — they offered a compelling alternative to Big Eyewear, competing on price and delivering exceptional customer service. We spoked with co-founder and co-C.E.O. Neil Blumenthal on the challenges facing the company as they attempt to scale, why empathy is a touchstone of their business, and how to creative an environment conducive to innovation. This interview has been condensed and edited for clarity. Warby Parker is a little over five years old now, so I want to start by chatting a bit about the challenges you face now versus what you were dealing with when you getting off the ground. I sometimes joke that it’s “mo’ people, mo’ problems.” We’re now over 500 people, which is awesome, because we have so many talented people working in so many areas of the business, and that’s super motivating, but it also introduces complexity. So, I now spend a lot more of my time thinking about organizational design, organizational structure, and the different levels of talent we need throughout the organization. I would say in the first few years, we just needed super smart, dynamic people who could solve problems. They would run through walls to make anything happen and no matter how big the challenge was we could always solve it basically through sheer will. Now, as we start to scale, some of the challenges we face are a bit more complex, and they require additional levels of expertise. So, if you were to think about our supply chain, for example, now that we have 16 stores — 20 by the end of the year — our customer base is growing, and growing, and growing, and our supply chain is becoming more complex. That’s not something you scale just through effort. That’s something where you really need people with experience and expertise. What do you do with your supply chain management that sets you apart from other companies, and what does that ultimately do for the business? I think it’s probably more broad than supply chain. It’s actually looking at our value chain. We’re a vertically integrated brand, and that’s why we have this tremendous price advantage. Because we don’t wholesale, we’re able to transfer all the retail markup to our customers. So, that’s an inherent advantage for us. We’re obsessive when it comes to experiences, and we believe that the best designers design experiences. We think about experience from the moment somebody hears about Warby Parker, to their decision to shop with us, to actually shopping with us whether online or off, to transacting, to waiting with anticipation for those glasses to arrive, to opening the box, to wearing the glasses on an ongoing basis. Every single step needs to be fun and easy and convenient. 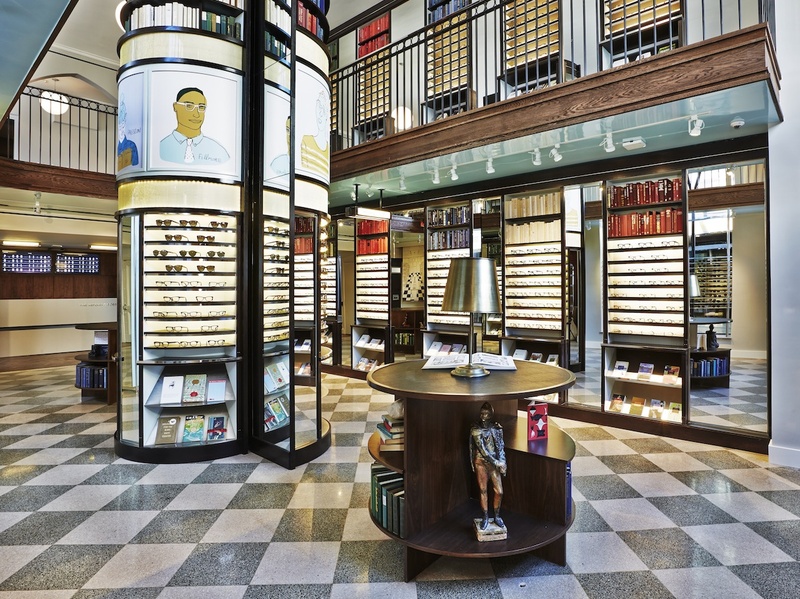 A lot the coverage of Warby Parker tends to focus on the social mission and your omni-channel approach, but, ultimately, people aren’t buying glasses unless they really like the glasses. So, what is your approach to design? We have four distinct design teams here. 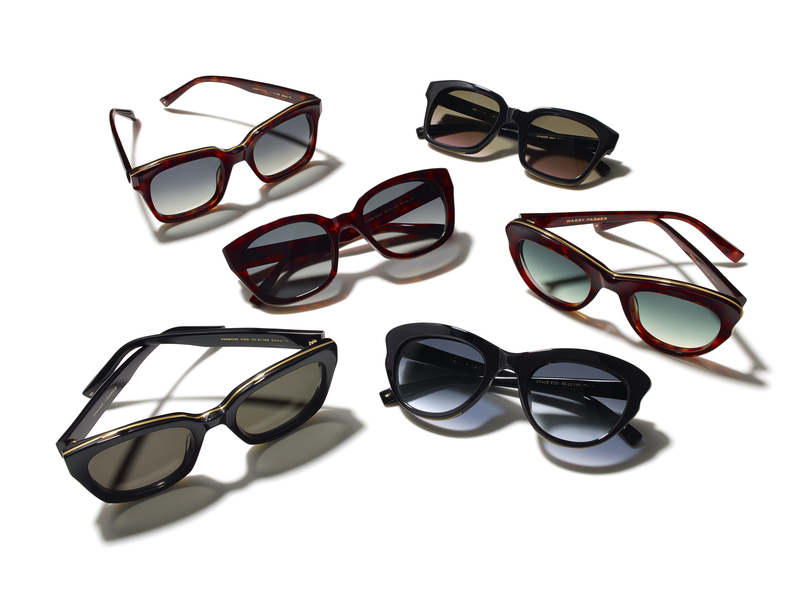 We have eyewear design. We have product design, which is actually digital product, and we do everything in house. We have brand design, which could be anything from graphic design, to art direction of photography, illustrations, you name it. And we have print, packaging, and retail design. From an eyewear design perspective, our process is similar to, I think, any other sort of fashion house. We draw inspiration, put together mood boards, sketch, then put together concepts and prototypes. I think we differ in two ways. One, we probably incorporate a little more testing than other companies, because eyewear is so much about fit, right? We’re designing really for form and function, so we’ll test prototypes here in the office every so often. We’ll bring in customers, as well, and see which one of our designs perform best from a fit perspective and what people like visually. I think the other big thing is that because we don’t wholesale, we’re not beholden to the fashion calendar, and we’re able to launch new collections whenever we want. Believe it or not, in 2015, we will have launched 20 collections. Now, some of these are small capsules that might be three designs. We do four seasonal collections in addition to a bunch of these capsules. For us, it’s just being able to do that that gives us a lot more range to have fun and, I think, to push the envelope. We, as Americans, and particularly New Yorkers, are not really known for taking risks from an eyewear perspective, and the thought is to never design anything we’d be embarrassed wearing in 10 years. We’re very much inspired by the eyewear that our grandparents wore to work in the 1940s and ‘50s, and simultaneously influenced by the social ethos of our parents who came of age in the sixties. The omni-channel aspect of your business is obviously a big part of it. You recently decided to sign on for the Relay program that Stripe is running. How do you get to the point where you decide to sign onto a program like that? What does it have to offer you to make Warby Parker think that it’s a good idea? We always try to put the customer first and ask, “Does this solve a problem? Does this make something more fun and easy for our customers?” One of our core values is “treat others the way that they want to be treated.” When we first launched the brand it was “treat others the way we want to be treated.” Our thinking was that we actually designed the company to serve ourselves, because we were frustrated by how expensive eyewear was and how there wasn’t that much design innovation, but we realized that it’s actually more empathetic to treat others the way they want to be treated, because not everyone wants to be treated in the same way. And we’ve even found that to be true in how we sell. We sell the majority of our eyewear online, but now we’ve started to open up stores, and there are some people who prefer to go into stores, and some people who prefer home try-ons, and some people who prefer to just buy online without doing a home try-on, and we’re completely comfortable with that. We like to think of ourselves as being experience-focused but medium agnostic. Some people think that the Warby Parker model is selling product through e-commerce, but, no, the Warby Parker model is building — I apologize for the jargon — a tech-enabled, vertically-integrated lifestyle brand. That means that we have a point of view, and that should come through aesthetically, that should come through culturally. We believe that brands have a unique ability to influence culture, and our goal is to demonstrate that business and design can scale, can be profitable, and can do good in the world without charging a premium for it. I think that’s a powerful idea that could influence other entrepreneurs and other executives. From a tech-enabled perspective, it’s about using technology to enhance experiences. This recent announcement with Stripe is about the ability to buy through different social channels with one click. We know that shopping on mobile isn’t the easiest thing because of all the credit card information you need to enter. Yeah, it seems like the code hasn’t quite been cracked yet. Yeah, so we thought that this was an opportunity for us to just create a better experience for our customers, and also for us to lead the way when it comes to shopping experiences, which we try to do as often as possible. We always want to be improving and iterating. People talk about what a monumental shift it was for us to open up our own stores, but we don’t really view it that way. When we launched in February 2010 we were featured in Vogue and GQ, and the company took off like a rocket ship. We hit our first year’s sales target in three weeks, sold out of our top 15 styles in four weeks, had a wait list of over 20,000 people. We had to suspend our home try-on program because we ran out of glasses. So, when that happened, people started calling and saying, “Hey, can we come to your office?” At the time, we were working out of my apartment, so we took a risk and invited five customers to come into my apartment and try on our glasses. So, our first store was my dining room table, our first cash register was a laptop, and customers would literally try on glasses and go over to a laptop with our website and check out. When we moved into a proper office, we deliberately chose a place that was easy to get to, a loft space that we were proud to invite people into. Then, we opened up a pop-up store and learned a lot about digital merchandising, lighting, shelves, what mirrors people prefer, etc. The majority of our customers that buy in our stores have been to our website first, and we’ve built the point of sale system that we use in our stores completely from scratch. So, our point of sale in our stores is what we call “Point of Everything,” because it’s much more than a transaction tool. We’re constantly making improvements to the experience in the store. For example, we developed an app for our retail advisors called Bookmark that allows them to take a photo of somebody wearing our glasses and send them a beautifully formatted email that has the photos of themselves, the frame name and color, and an Add to Cart button so they can check out on their walk home from their mobile device. Cool. So, that type of innovation seems to be a huge focus for the company. I was reading that you’re working on software that will hopefully allow people to do their own eye exams from their mobile devices. What else is in the lab right now that you’re really excited about? We always think that the best businesses and products solve real problems. It’s a real issue — it’s inconvenient for people to get an eye exam. Most places are are only open 9AM to 4PM, and it’s expensive, so, how do we make that easier? The easiest way is, in states where we can, we have optometrists on staff and longer hours that are more convenient. Is there technology that exists or that we could develop that could be transformative? And we do think that in the very near future you’ll be able to get your glasses prescription through your mobile device, so we’re excited about that. We want to build a culture that’s comfortable with change. It used to be that change happened every 50 years, then every decade, but now it’s happening really rapidly. So, we believe that we not only need to be comfortable with change, but we have to welcome it and treat it as the new status quo. Five years ago we were focused on desktop e-commerce and now we’re focused on mobile e-commerce. Five years from now it might be virtual reality commerce, and that’s why we’re happy to partner with Stripe and others to focus on social shopping, because that may be another exciting path for customers to interact with a brand. On the product side, one of the things we’re launching in October is our Thea Collection. This is something that we’re really excited about. We always wanted to create a gold frame. That was something that we wanted to do from day one, but the question is, how do you do it in a manner that is actually wearable? Because real gold is super malleable. So, we came up with this new construction where we have 24-karat, plated gold that’s sandwiched between super-thick acetate and then sculpted. It’ll be priced at $195, so that’s our highest price point to date, but like all of our products, it’s a fraction of what it would cost if someone else was selling it. Practically, how does that willingness to embrace change work in a company? The first thing is you have to hire the right people, and the question is, how do you hire the right people? We think that starts with a position description. I know that sounds super basic, but you have to clearly articulate what you are looking for and who we are as a company, what we stand for, so that people have a better sense of whether or not this is a place for them. Often, so much of a recruiting process is focused on the company assessing and evaluating candidates, and we believe it’s a two-way street. We want to make sure that these candidates are self-selecting to join Warby Parker, then, for us, we’re looking for certain characteristics that allow for innovation. So, what enables innovation? You need to be open-minded, you need to be curious and be learning as much as possible, you need to be able to collaborate and communicate clearly. One of the things we really look for is being proactive, because someone that’s proactive, they’re taking control of their own career and learning and constantly growing. One of the things we screen for is entitlement. If you’re entitled, other people don’t like working with you, so it impedes collaboration and teamwork, which is required for innovation. Getting at those characteristics and those behaviors help us make sure we get the right people to create a fast-growing, innovative company. The other thing is just celebrating doing things differently. This is sort of counter to what I said earlier, in that as we’ve scaled we’ve needed to bring on more expertise, but one of the things we try to approach problems with is a beginner’s mindset. The people who disrupt industries are never people from within the industry. It’s people that look at that industry with fresh eyes because they don’t have the burden knowing how things are done, so they think about how to do it better. We might have people who have never worked in eyewear before, or in retail, and that helps us bring a different perspective and come up with a new way of doing something.